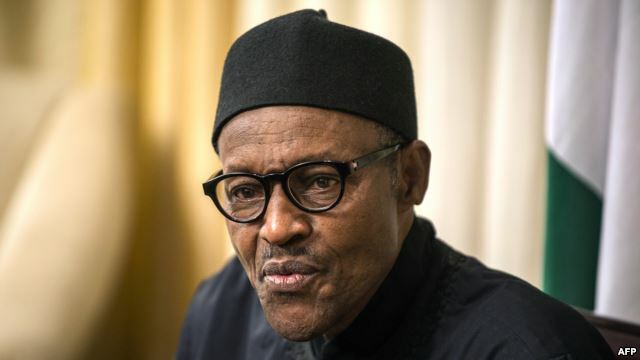 Nigeria's President Muhammadu Buhari has replaced his entire military top brass to boost the fight against Boko Haram militants, as the group continues to launch new attacks. Buhari replaced the heads of Nigeria's army, navy, and air force, along with his chief of defense intelligence and national security advisor on Monday. The removal of defense staff inherited from his predecessor, Goodluck Jonathan, was widely expected, but is one of his strongest moves since becoming president to show he wants a change of military strategy. In the latest violence, Boko Haram militants detonated bombs late Sunday in the Cameroonian border town of Fotokol, killing at least 11 people. Also, police Monday confirmed that at least 40 people were killed by the militants on Friday and Saturday in remote villages in Borno state. Boko Haram has stepped up its attacks in recent weeks, since Buhari moved Nigeria's military's command center from the capital, Abuja, to Maiduguri, which is at the center of the insurgency. Buhari, a former general, made ending the Boko Haram insurgency one of his top campaign promises while running for election this year. Cameroon, along with Chad and Niger deployed troops earlier this year to fight Boko Haram after the militants launched a series of cross-border attacks. Last month those countries joined Nigeria and Benin in announcing a new regional task force headquartered in Chad's capital N'Djamena to counter the militants. Boko Haram began its insurgency in Nigeria in 2009 and since then has killed thousands of Nigerians in shootings and bombings. The Nigerian government responded with a state of emergency in three northern states where Boko Haram is most active, but that campaign has failed to halt attacks.